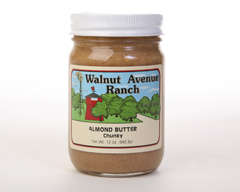 Our almond butter has no additives - no sugar, salt or preservatives. Delicious on sandwiches, crackers, cereal, or as a dip with raw vegetables. Substitute almond butter for some of the flour and butter in any baked goods recipe for extra rich flavor and added protein.